Parker Jamenson is a mediator between werewolf packs all over the world. He’s descended from the first shifter family and is growing steadily more ill the longer he delays finding a mate. Brandon Brentwood is an Omega, the emotional conduit of the Talon Pack. He’s struggling under the crushing weight of so much empathy, and needs a mate to find his balance. Avery Montag is the daughter of the human who revealed shifters to humanity–and sparked a battle that could bring the end of shifters on earth. This is an interesting and spicy menage romance that has plenty of action and adventure, too. Avery is a great lead woman, and she’s down for anything with, or watching, her mates. Brandon and Parker have unique roles to play in the pack dynamics–both being part of a prophecy that can save or doom their packs. Meanwhile, Avery has some level of clairvoyance and does her all to save her new family from destruction. I liked how this was a full story, and not just sexytimes. There are lots of bonding moments, but they don’t overshadow the story. This is the fifth book in a series, and meant to cap off the main plot arc–so it’s a lot to catch up with if you haven’t read along. That said, I didn’t have much trouble keeping up, and really enjoyed this part of the series. The author notes the next books to come won’t follow this same plot arc, but I’d expect to see secondary characters (Mitchell, Max, Kameron) find their way into being protagonists down the road. Interested? 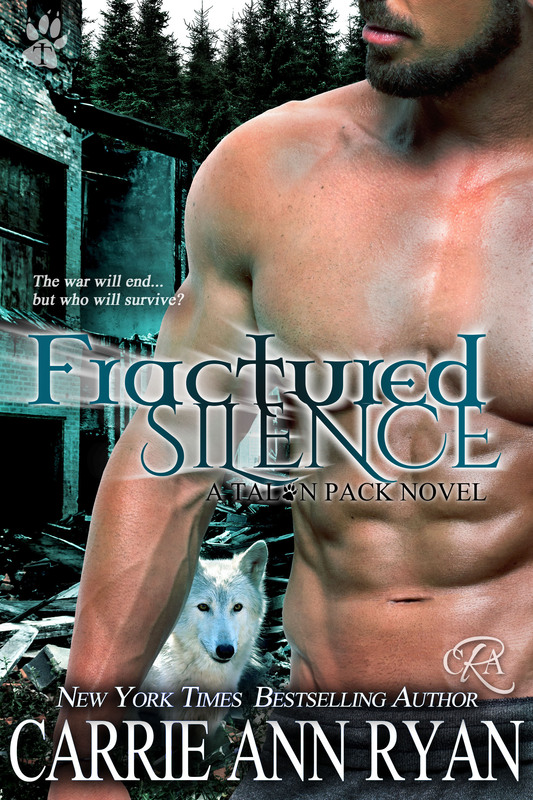 You can find FRACTURED SILENCE on Goodreads, Amazon, iBooks, Barnes & Noble, Kobo, and Google Play. You can catch up with Carrie Ann on her website, Facebook, Twitter, Goodreads, Instagram, Pinterest, Tumblr, and sign up for her newsletter here.